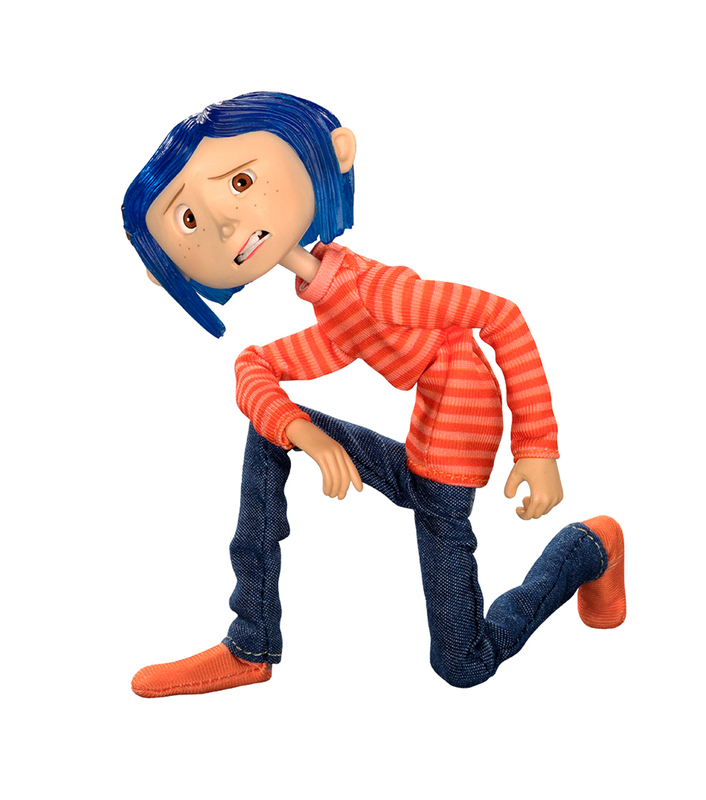 Based on best-selling author Neil Gaiman’s Coraline, LAIKA’s stop-motion animated feature film is a must-see that speaks to audiences of all ages with its magnificently triumphant story. 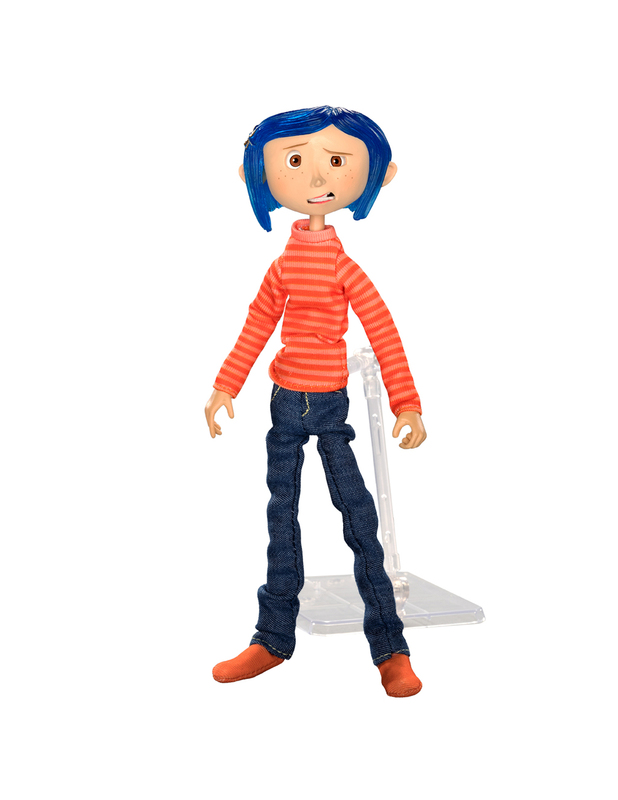 Bring home a piece of its fun and spooky magic with this 7″ Coraline figure in real fabric striped shirt and jeans, as seen in the movie. 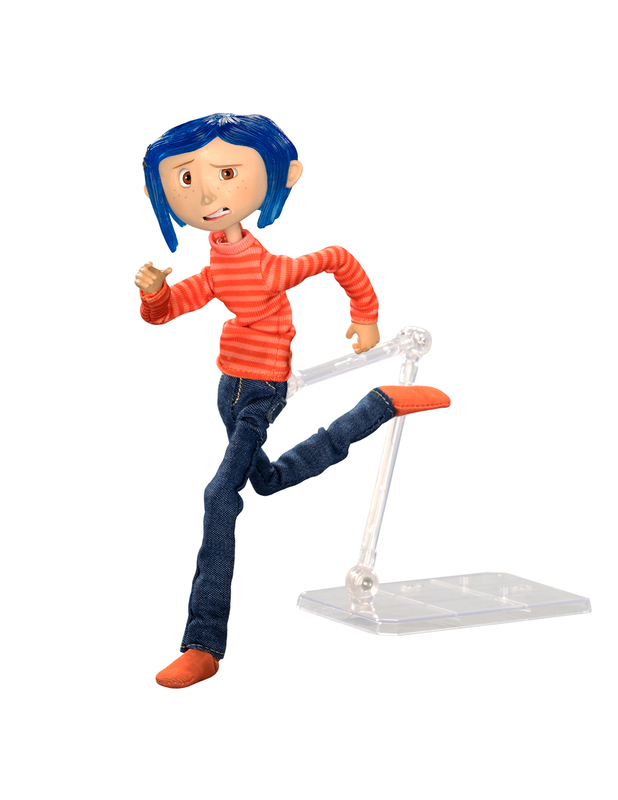 Her fully articulated body has moveable eyes and an attachable display stand to let you create a wide variety of delightfully expressive poses – maybe even star her in your own stop-motion animated movie.